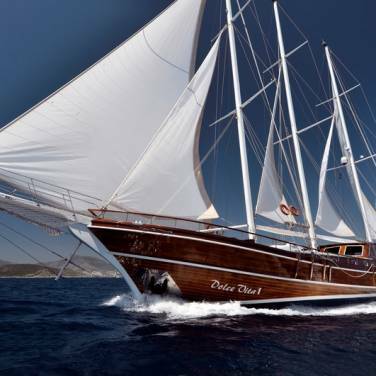 Gulet Babac is a two masts yacht, ideal for enjoying a pleasant cruising charter along the Croatian coast and islands. Fully renovated in 2012, this charming gulet maintained the beauty and décor of a classical schooner, simultaneously providing the ultimate norms in design and safety. It accommodates up to 8 charter guests in 4 double bed cabins, all with air conditioning and private bathrooms, ensuring maximum privacy and comfort to everyone which makes it perfect for private cruises and smaller charter groups. 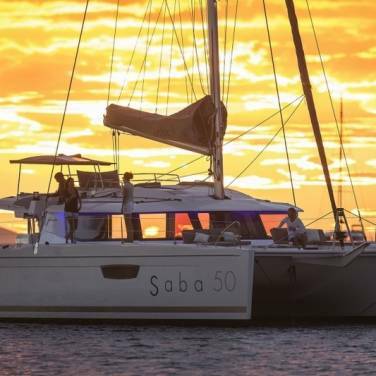 The crew aboard Babac, a captain, sailor and a cook, are accommodated in separate quarters and are at your disposal during the whole cruise, taking care of the navigation and discreetly looking after you in every part of your cruising adventure. Interior salon is ideal for lounging or socializing with family and friends and it is supplied with CD and DVD player, TV, wireless Internet connection and a cozy sitting area. The exterior areas are spacious and perfect for sunbathing while the stern deck features a nice looking teak table, perfect for al fresco dining while not missing a moment of the spectacular views of the Adriatic coast. 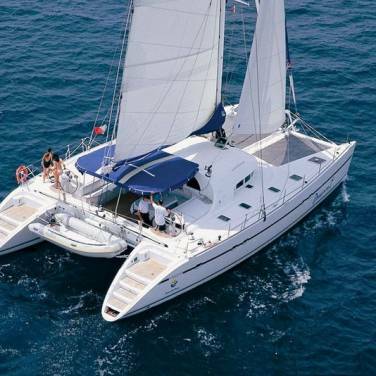 Gulet Babac also offers a wide selection of sea toys such as snorkeling and fishing gear, dinghy with an outboard engine while the water skis are available on demand at extra charge. Gulet’s sailing routes include the most famous Croatian destinations, and you can choose your own route according to your preferences. There is no better way to enjoy a relaxing, stress-free sailing vacation and superb culinary specialties than by chartering a splendid gulet such as this one.